We shopped (and ate and drank) until we dropped in this enchanting Northwest city. In another life, I want to live in Portland, Oregon. During a weekend of exploring, I discovered one charming juxtaposition after another, and as a girl who loves to work hard and then play hard, I mean that as the ultimate compliment. On the one hand, bike lanes are clearly marked on every street; on the other hand, women pedal by wearing pumps and skirts. There are dozens of artisanal cafés touting farm-fresh ingredients, but there are also innumerable wine bars and brewpubs encouraging you to sip and sip…and sip. You’ll find pricey independent boutiques and big-name outdoor stores, but they’re in charming neighborhoods that also house quirky galleries. Speaking of retail therapy, I found plenty of it in Portland—especially in the following three areas. And since there’s no sales tax in Oregon, the price you see on the tag is the price you pay at the register. Cobblestone streets and old buildings. Well-kept parks where residents chat over lunch (unless it’s raining). Ah, life is good downtown. Pioneer Place is the indoor mall where you’ll find biggie department stores (Nordstrom, Saks) and major chains (Betsey Johnson, BCBG, etc.). But for something a little different, take the MAX (the light rail public transit system) to the Saturday Market (my jaw dropped upon discovering public rides are free within the city center). While it’s tourist-central, it’s also worth checking out. Sort of like a ginormous version of the Randolph Street Market (minus the furniture), the spot features independent artists hawking everything from handmade jewelry to art to clothing. I found a one-of-a-kind pair of handmade dangly hoop earrings for under twenty bucks that I now wear every weekend. Come with an empty stomach or at least plan to snack on some local fare—there’s coffee and beer to drink, pastries and savory sandwiches to be nibbled. 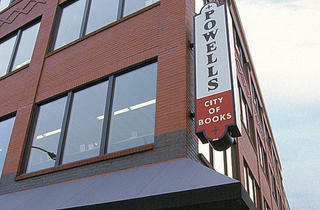 En route to the nearby Pearl District, you must stop into Powell’s Books (1005 W Burnside St, 503-228-4651). It doesn’t matter whether or not you’re a bookworm, you will get sucked into this city-block-sized store with new and used books covering 60 sections in nine color-coded rooms on four floors. 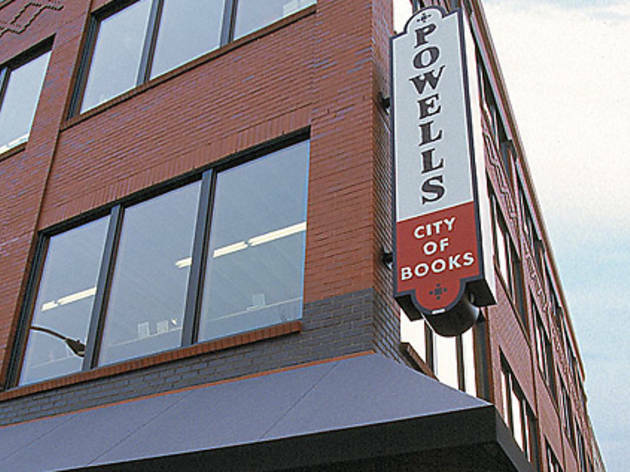 Powell’s comes with its own map, but you’ll get lost inside anyway. Known as “the Pearl” by locals, this nabe formerly housed sheet-metal warehouses. 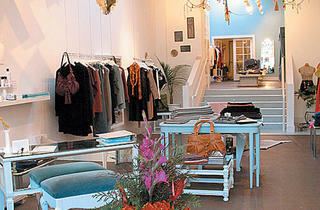 These days, galleries and boutiques pepper the streets. If you find the fit, rain-slicker-clad residents inspiring, the area offers plenty of activewear stores to indulge yourself, including REI (1405 NW Johnson St, 503-221-1938), Title Nine (1335 NW Kearney St, 503-243-2220) and Icebreaker (1109 W Burnside St, 503-241-8300). Those with a new mom or infant to gift should swing by POSH Boutique (809 NW 11th Ave, 503-478-7674), where a cute, cheerful selection of books, clothes, beauty products and more awaits. Nearby, home-decor stores abound, including Ten Thousand Villages (938 NW Everett St, 503-231-8832), a cavernous, quirky fair-trade chain store. 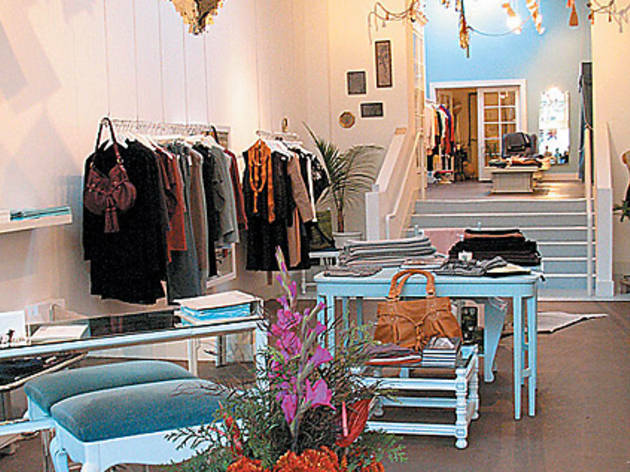 If trendy dresses and going-out tops are more what you had in mind, then get to Bubble Boutique (1100 NW Glisan St, 503-219-0098), where you’ll find an impeccably curated selection of women’s shoes, accessories and clothing. 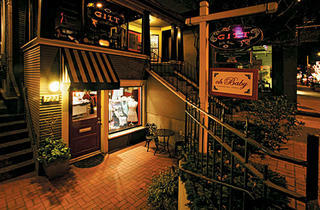 Within walking distance of the Pearl (but a short MAX ride away) is 23rd Street—a part-upscale, part-bohemian enclave. Begin at Burnside and make your way down this pedestrian-friendly street, which bustles with boutiques, coffee shops and cafés. Stores along 23rd (or “Trendy-third” as I heard one local refer to it) and its restaurant-rich companion avenue, 21st, include high-end boutiques such as Zelda’s Shoe Bar (633 NW 23rd Ave, 503-226-0363), where the footwear is displayed on pedestals, and lingerie shop Oh Baby (722 NW 23rd Ave, 503-274-4190), with its pretty selection of lacy little things. 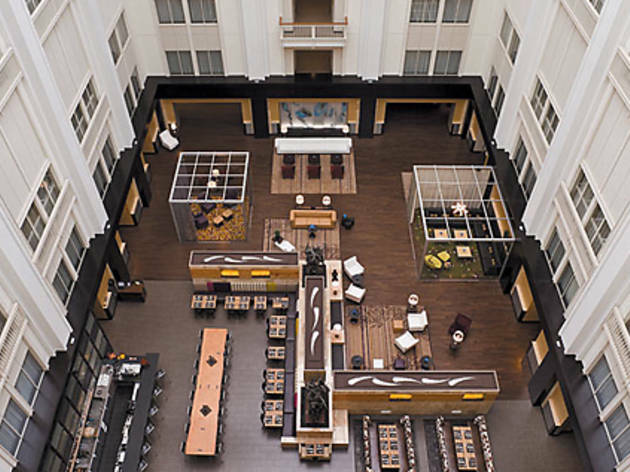 The rates are reasonable ($180 and up a night), you’re in the heart of downtown, and it’s a mere one-minute walk to the closest MAX station. But best of all are the luxe environs: modern art, velvet furniture, lofty ceilings, magenta pinks and Tiffany-box blues. The decor might sound over-the-top, but the effect is classy and hip. 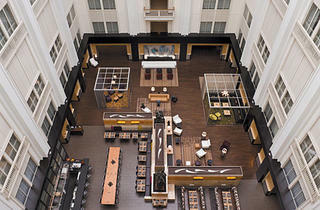 Plus, theWit-esque rooftop lounge is worth checking out. 525 SW Morrison St (503-222-9996, thenines.com). The food is so good in Portland that every eatery is a delight. 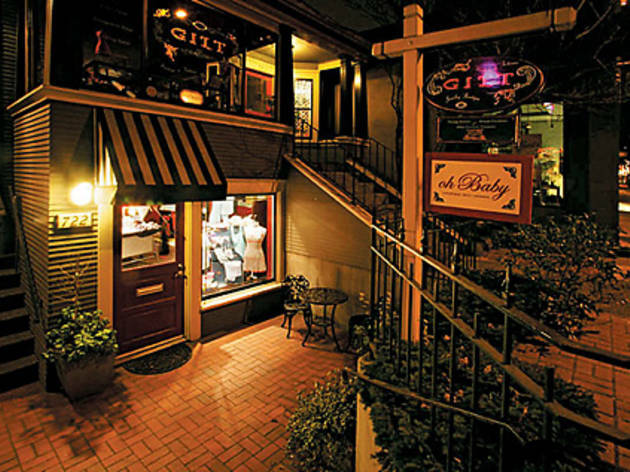 But Paley’s Place is a sure bet: For special nights out, locals flock to this restaurant that occupies a charming Victorian house and where the locally sourced menu constantly changes. If the crispy sweetbreads and rabbit ravioli are on the menu, get them. 1204 NW 21st Ave (503-243-2403). Beer brewing is a huge part of the city’s culture, and you’ll find plenty of options on timeoutchicago.com/travel. But to whet your taste buds, we checked out this Pearl District outpost of a microbrewery headquartered in the coastal city of Newport. We’re partial to the refreshing, slightly nutty Morimoto Soba Ale, but there are 36 taps for your drinking pleasure, so enjoy experimenting. 1339 NW Flanders St (503-222-5910).